With Medical Practice Valuations there are many reasons and circumstances that might give rise to a need for a valuation. In many case, the purpose and use of the valuation may impact the value itself. Medical practices are most often valued for purposes of sale, for a divorce, for a practice buy-in or a buy-out, or arising out of a litigation matter. The standard (i.e. definition) of value must then be appropriately applied to any valuation and is therefore dependent on the purpose of the valuation. While there are guidelines and formulas that are used to ascertain values, there are many unique and individual circumstances related to a practice that set it apart from all the others. These circumstances are where the valuer focuses on making assumptions that affect the value of the practice. These assumptions are applied numerically to the valuation “formulas” to determine a dollar amount that represents the value. For example, being the only medical practice of a certain specialty in an area affects value. The demographics of the patient base or physician referral sources can also impact value. What is most appropriately used now in valuing medical practices is usually the Income Approach, which generally doesn't distinguish between goodwill value and asset value. It only cares about the return available, particularly in excess of what the fair market compensation is for that practice. One thing is paramount in a Medical Practice Valuation, and that is that the valuer has the experience and qualifications to provide a valuation that is accepted for both merger and acquisition or litigation purposes. 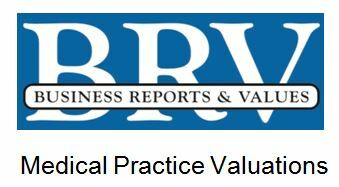 Do you need a Medical Practice Valuation?